A MAN IN Texas is due to be executed this evening for gunning down his two young daughters in Dallas while his ex-wife — their mother — listened helplessly on the phone. John David Battaglia is set for lethal injection for the May 2001 shooting deaths of his daughters, Faith, 9, and Liberty, 6, in his apartment. He would be the 10th convicted killer executed in the US this year, the sixth in Texas. Authorities said the slayings were revenge for his former wife’s complaints to his probation officer that led to an arrest warrant issued for him. 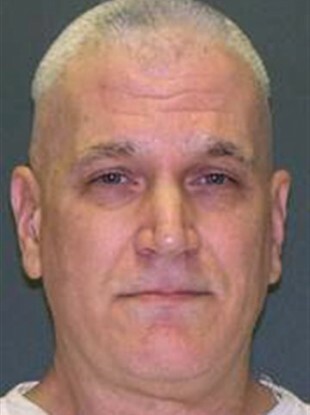 A lawyer seeking to represent Battaglia has asked federal courts, including the US Supreme Court, for a reprieve so Battaglia’s mental competency for execution could be further reviewed. The Supreme Court has ruled a prisoner can be executed if he’s aware of his pending execution and understands why he’s being put to death. “This situation is morally bankrupt and violates basic notions of fairness in our capital punishment system,” lawyer Gregory Gardner told the high court, which in January refused to review his case. Evidence showed that at the time of the shootings, Battaglia was on probation for a Christmas 1999 attack on his estranged wife Mary Jean Pearle, the girls’ mother. Their divorce was finalised the following August. Around Easter 2001, he called Pearle, swearing at her and calling her names, a violation of his probation. She reported the incident to his probation officer and Battaglia learned on 2 May, 2001, that an arrest warrant had been issued. That evening, Pearle left their daughters with him for a planned dinner. Pearle yelled into the phone for the girls to run and heard gunshots, followed by Battaglia telling her: “Merry … Christmas,” the words divided by an obscenity. After hearing more gunfire, Pearle hung up and called 911. Evidence showed Faith was shot three times, and Liberty five. A semiautomatic pistol found near the kitchen door was among more than a dozen firearms recovered from Battaglia’s apartment. Hours later, Battaglia was arrested leaving a tattoo shop where he had two large red roses inked on his left arm to commemorate his daughters. “I don’t feel like I killed them,” Battaglia told The Dallas Morning News in 2014. “I am a little bit in the blank about what happened.” He referred to them as his “best little friends.” He declined to speak with The Associated Press as his execution date neared. Battaglia’s trial lawyers called no witnesses during the guilt-innocence portion of his capital murder trial in 2002, and a Dallas County jury deliberated only 19 minutes before convicting him. During the punishment phase, jurors heard defence testimony that Battaglia’s mental illness should convince them a life prison sentence would be appropriate. They did not agree. “This guy was so controlling, so vindictive to have murdered his own flesh and blood, his little girls, just out of spite,” he said last week. Testimony at Battaglia’s trial also showed he’d been violent with his first wife, who obtained a protective order that he ignored. Email “Man due to be executed for murdering his two young daughters ”. Feedback on “Man due to be executed for murdering his two young daughters ”.